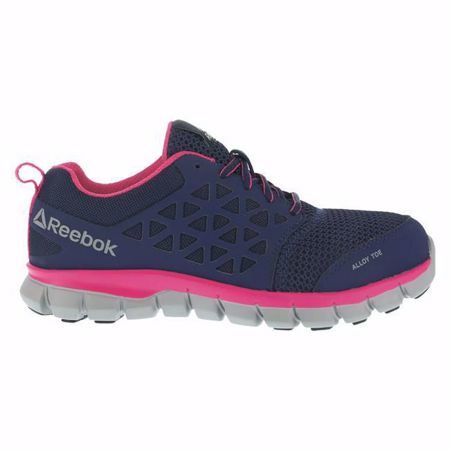 Reebok brings the responsive performance of a running shoe to work footwear with the Sublite Cushion Work AT SD. The ultimate in flexibility and comfort, this shoe features a low-cut design to enable ankle mobility. Full-foot flex grooves put a spring in your step, while rubber pads provide traction at the heel strike and forefoot takeoff. Innovative Sublite technology offers the support you need with a cushioning foam midsole and a MemoryTech Massage footbed that adapts to the contours of your foot. An alloy toe keeps the footwear light while still providing sturdy impact protection. The Reebok SD dual resistor provides additional protection by exceeding the ATSM standard for electrostatic dissipation, shielding you and your equipment from potentially hazardous static discharge. With two resistors, you’ll always have a backup.